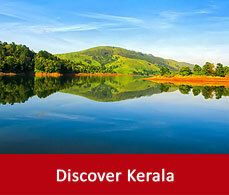 Kerala is such a tourist destination which can be visited all year round. 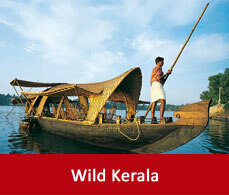 Still it is better to know the temperature and climate of Kerala month wise before you plan your trip. This time of the year dwells the summer season in Kerala. This time of the year Kerala faces hot and humid climate. At this time you may enjoy discounts on room rates, food and beverages. But do carry light cotton clothes and umbrella to safeguard yourself from the heat. Most probably the heat will keep you away from the beaches but you may spend a leisure time in your hotel rooms. But the hill stations of Thekkady and Munnar are still pleasant during this time. At this time of the year hails the monsoon in Kerala. Kerala gets drenched in the rains and the hotel rates are slashed to low prices.Kerala has different beauty during the monsoons but it is better to have ayurvedic treatments at that time than to spend time outside. This is the best season to visit Kerala. Kerala’s temperature in Winter never gets too chilly but still it is the best time to enjoy on the beaches and to go for sightseeing. This time the weather is mild and may also enjoy many colourful festivals. 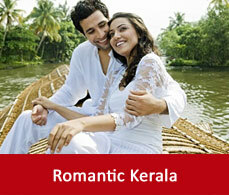 This is the most romantic time in Kerala as the weather will draw you to engage in a mood of romanticism. So many honeymooner’s plan for their honeymoon at this time of the year.